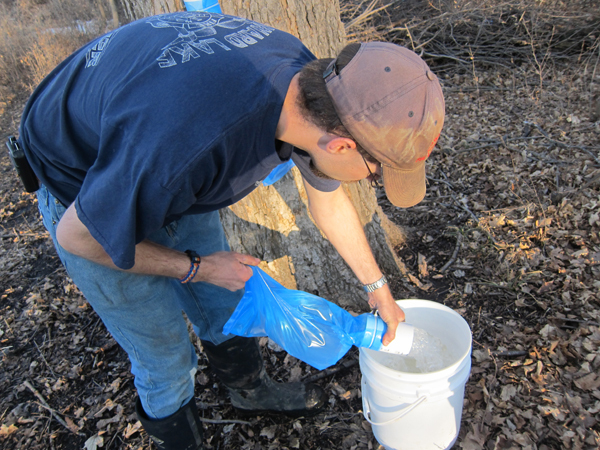 Maple sap just started to run after this past snow storm we had last week. The sudden warm up is quickly bringing an end to the silver maple flow. The silver maples are just ready to bud-out, which means it’s time to pull the taps. The sap of the trees that have budded will get have an unpleasant flavor, or “Buddy” flavor. The sugar or hard maples have the longest time before budding out, which in turn will provide a longer season. But freezing temperatures at night and warm temperatures during the day are required, and will keep the sap flowing. 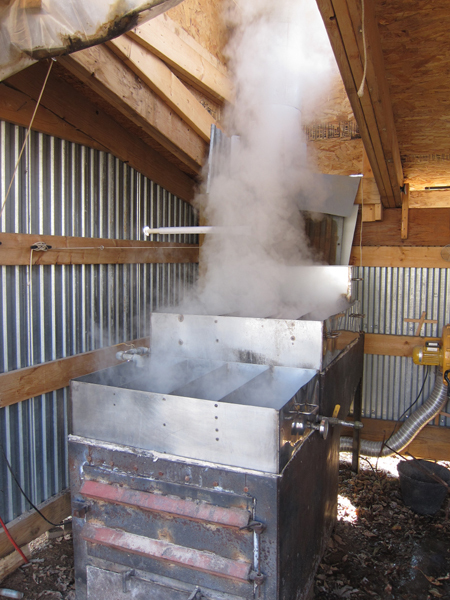 We started with our first boil of the season this past Sunday, and have drawn off the first batch es of syrup. The sugar content has been running at 3.2% with the sugar maples, and 2.5% with the silver maples. The percentage of the sugar indicates the amount of sugars in the syrup, and how much water you will need to evaporate off to produce one gallon of syrup. Maple syrup time is a great activity for the entire family. It’s nice to get out in the woods and see the full sap bags, and then to tend the fire of the evaporator. What a great way to create memories!